For those of you in London and into street art you are sure to have seen Un-plugged's plug socket stickers and paste ups across the city in the most unlikely of locations. 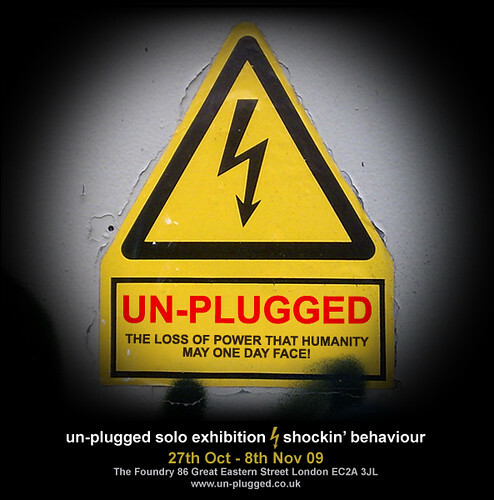 Tomorrow the 27th October sees the opening of a solo exhibition from un-plugged entitled "SHOCKIN' BEHAVIOUR" the loss of power that humanity may one day face. The exhibition runs from the 27th October until the 8th November. More over on his flickr here.